Find a Adventure trip that explores Fiji. There are 8 tours to choose from, that range in length from 4 days up to 11 days. The most popular month for these tours is March, which has the most tour departures. 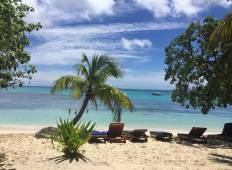 "I had the best time in fiji Jonny is just so chill accommodating when we wanted to..."